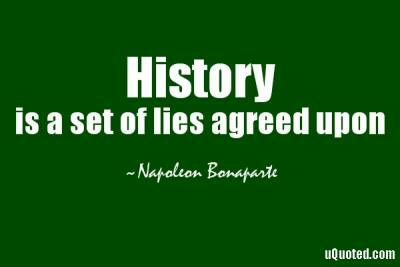 Napoleon Bonaparte said "History is a set of lies agreed upon" indeed no other quote is more true about America. A country where lies are taught in school as fact to make descendants of murderous thieves sleep better at night. But the true prevails. Hat's off for MSNBC to mainstreaming the truth for once. If you don;t know listen and learn..
Read about all the broken treaties they made with the Indians HERE.